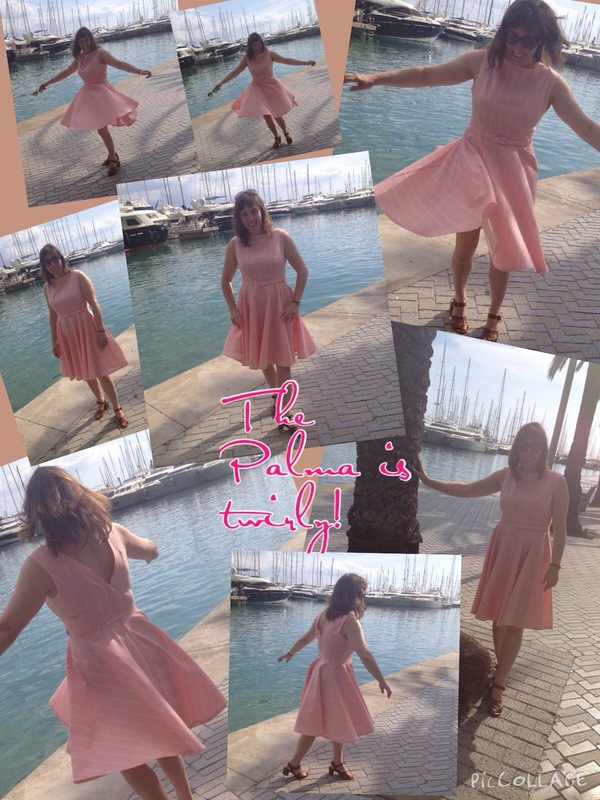 I was lucky enough to spend 5 days in Palma during our half term break. 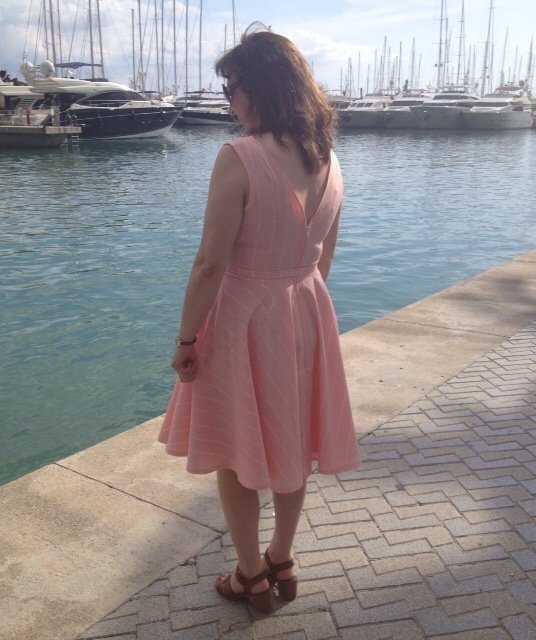 We went expecting cool weather but managed some lovely sunshine providing a photo opportunity for my new dress! The fabric was a gift from my parents last year when they went to Malaga and found a lovely fabric shop. 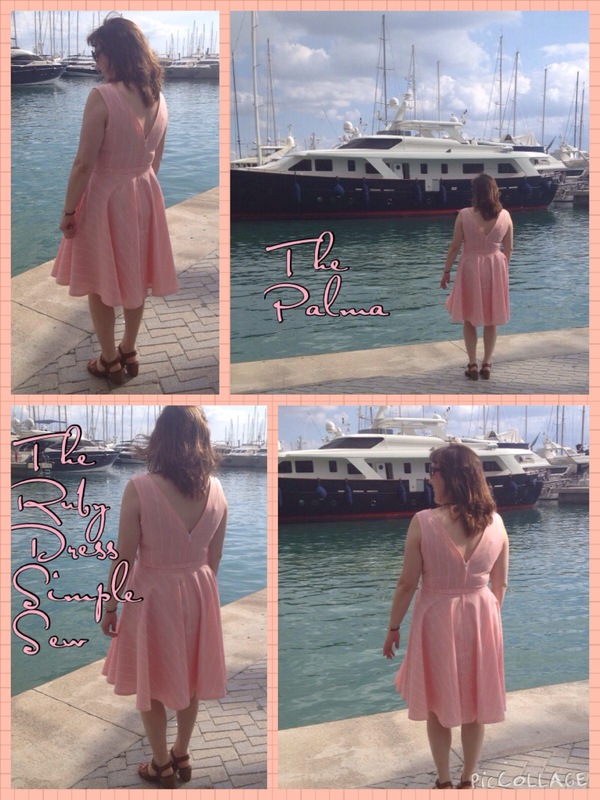 It has been waiting for the perfect pattern….yes, you guessed it…The Ruby dress from Simple Sew. It is the perfect pattern for my figure and I am really loving these twirly skirts! I once again bought a 2 cm belt from Harlequin to wear with it. I think they make such a difference to the dresses I sew. 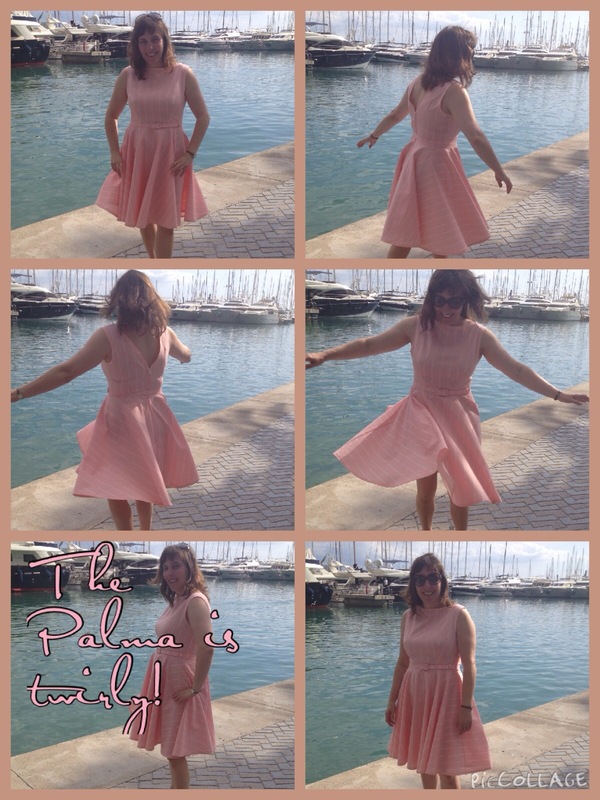 Palma is a gorgeous city full of history, old quaint streets and boats! Wonky Factor: 9/10 I love it to wear. Perhaps loses a point as the zip slipped down a little after a massive sandwich and chips in Hard Rock Cafe! Well I never knew you could that you could get belts made to match. What a fabulous idea and reasonable too. 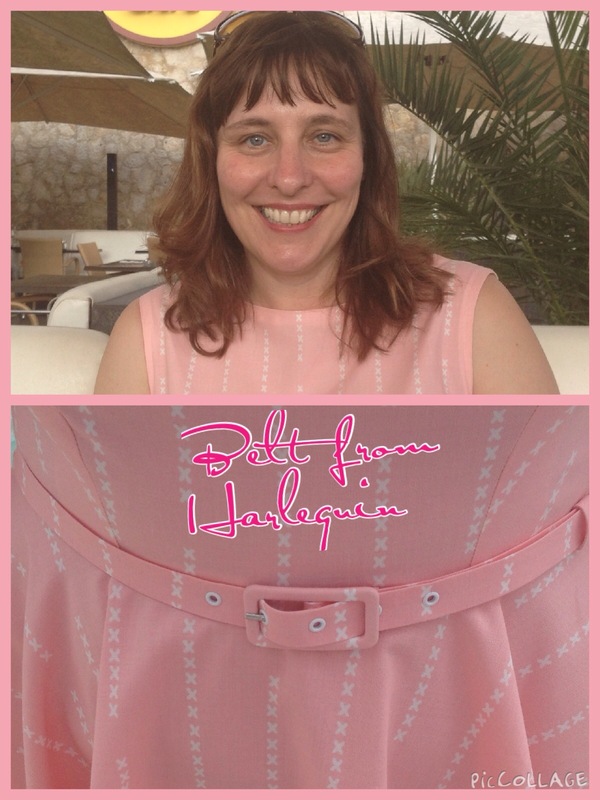 A great dress – what fabulous weather…..
Just lovely! Your photos this week really made me smile 🙂 The perfect dress for you. You look so happy Amanda, swirling and twirling your skirt. This is the perfect pattern for you. I love your fabric too. Yes great backdrop. Very beautiful. 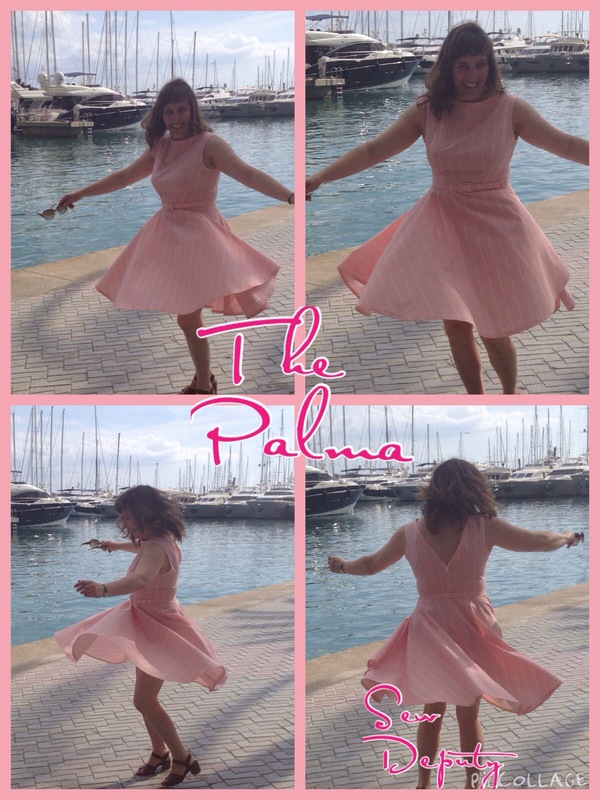 Where is Palma ? Yes that is supposed to be a very beautiful place. A notorious Australian high flying criminal, went to live in Majorca back in the 90’s. The Australian authorities were very keen to get him back to Australia to face charges. I got those leotards finished this afternoon. Hurray!!!! Well done! Did they manage to get him back? I hope i didnt walk past him….or maybe i am stood by his boat!!! The boats were amazing! No he ended up dying in Majorca.